Ep. 277 - Why Don’t Responses Ever Work? 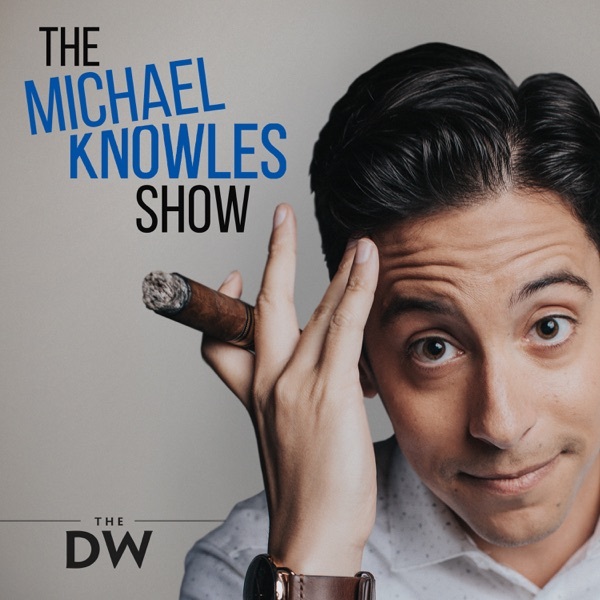 Discover The Michael Knowles Show Ep. 277 - Why Don’t Responses Ever Work? Chuck and Nancy get meme’d for their American Gothic response to President Trump’s Oval Office speech. Then, AOC responds to the responders, Trump gives the speech itself, and Kellyanne Conway roasts Jim Acosta. Finally, the APA declares masculinity harmful. Democrats kick off a major 2020 town hall by endorsing voting rights for terrorists and rapists! We examine the novel electoral strategy. Then, AOC’s star fades, ISIS claims responsibility for Sri Lanka, and why leftists weep for puppies. Islamic terrorists in Sri Lanka murder 290 Catholics on Easter Sunday, and around the world, churches have become the #1 target for attacks. So political and media elites who don’t want to admit that fact have made up a new term to describe them. Attorney General William Barr has released the Mueller Report with relatively few redactions and gives a highly entertaining press conference on the details of its release. We will analyze the relevant sections and what it means for President Trump, the media, and 2020. Rolling Stone celebrates the burning of Notre Dame as “an act of liberation.” Meanwhile, Library Journal condemns libraries as tools of white supremacy, and anti-white Democrats only want to nominate a white guy. We will analyze how the West lost its mind. The Left is crying crocodile tears over fake incitements to violence. Meanwhile, leftists repeatedly commit actual violence against conservatives, including little ol’ me during a campus lecture last Thursday! We will expose the Left’s sham grievance games from Ilhan Omar to Nancy Pelosi. Why are socialists always so interested in accumulating wealth? Then, Candace Owens humiliates Democrats in congressional testimony, Bibi wins in Israel, Ilhan Omar says more awful things, and the bloom is off the Pete Buttigieg rose. AOC inexplicably transforms into a black southern preacher! Then, 2020 presidential candidate Pete Buttigieg shows why Democrats are obsessed with Mike Pence, and some radio host calls Ben the Antichrist. Joe Biden cowers to the woke mob, GOP Rep. Matt Gaetz fights global warming on the Left’s terms, and AOC misses her own advice that the Internet is forever. Then, some men think they’re women, some men think they’re puppies, and finally the Mailbag! The Left launches a crusade to murder innocent babies in Georgia while simultaneously trying to overturn the death penalty for rapists and murderers. A new study shows assault weapons bans don’t reduce homicide. Finally, Dorothy Parker offers a macabre kick off to National Poetry Month! Joe Biden is facing intense scrutiny for behavior he’s been exhibited in public, including on the largest stage in the world, for 40 years. We will analyze Joe Biden’s #MeToo moment. Then, AOC hits primetime on left-wing cable news, and a NYT columnist dumps his girlfriend because she’s white. With students spending so much money on bribing admissions boards how will they afford the amount of Natty Light they'll need for a week in Panama City Beach? How much magic sand will Beto have to eat to win the primary? Is Pauly Shore the only proper choice to moderate the Dem's debates?Join this roundtable discussion featuring Ben Shapiro, Andrew Klavan, Michael Knowles, Daily Wire god-king Jeremy Boreing, and special guest Matt Walsh, as they get to the bottom of these questions and more. The Left’s worst week ever concludes with them using the only weapon left at their disposal: calling conservatives bigots. When the Left calls you a racist, you know you’ve won the argument. Then, Mike Lee takes on the Green New Deal, the NYT gets Russia wrong, and finally, the Mailbag! Crooked Cook County drops charges against Jussie Smollett, AOC encourages senators not to vote for the legislation she wrote and they co-sponsored, and David Brooks draws a moral equivalence between Russia hoaxers and the Russia hoaxed in the New York Times.